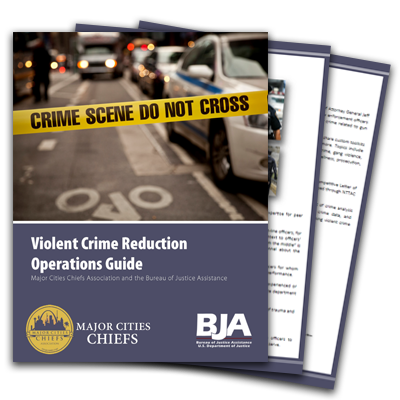 Developed by the Bureau of Justice Assistance and the Major Cities Chiefs Association, this guide is intended to identify the critical elements of violent crime reduction efforts. 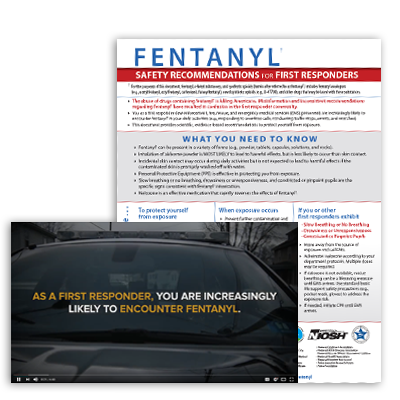 Offering actions that first responders can take to protect themselves from exposure; when exposure occurs; and when they or their partners exhibit signs of intoxication. NIBRS takes UCR Program data to the next level by capturing wide-ranging details on crime incidents and separate offenses within the same incident, including information on victims, known offenders, relationships between victims and offenders, arrestees, and property. Law enforcement agencies around the country have started making the transition to NIBRS and are already seeing the benefits. The video below highlights agencies that are implementing NIBRS. NIBRS 2021: Are You Ready? The Federal Bureau of Investigation (FBI) is responding to law enforcement’s call to upgrade and update the nation’s crime statistics by working to transition to a National Incident-Based Reporting System (NIBRS)-only data collection by January 1, 2021. Law enforcement agencies are encouraged to start implementing NIBRS now. Switching to a NIBRS-only data collection will improve the nation’s crime data through rich details and greater specificity of offenses. This will make NIBRS the nationwide standard for collection of crime data. Anticipating inquiries about the transition, the FBI has compiled a new document with answers to frequently asked NIBRS-related questions—NIBRS: 30 FAQs. The FBI remains committed to assisting all agencies in making the switch. The U.S. Department of Justice’s Bureau of Justice Assistance (BJA) Sexual Assault Kit Initiative (SAKI) is one of the critical investigative tools that led authorities to believe that Samuel Little may be the worst serial killer in American history. Using this tool, police agencies across the country were able to corroborate at least 34 of Little's confessions. By his own admission, Little allegedly killed as many as 90 victims in at least 19 states over the course of 35 years. He denied all allegations against him until experts from BJA, the FBI’s Violent Crime Apprehension Program (ViCAP), and the Texas Rangers elicited confessions from him in early 2018. Many of Little’s alleged crimes occurred in jurisdictions that had received SAKI grants, which enabled at least 11 cities to close cold cases linked to him. BJA shared information from Little’s confessions with the SAKI sites, helped locate cases based on Little’s confessions, helped sites assess any available evidence for DNA testing, and facilitated interviews with Little to close their cases. The Police Executive Research Forum (PERF) Annual Meeting is being held in conjunction with the conferences of the Major Cities Chiefs Association (MCCA) and the Federal Bureau of Investigation National Executive Institute Associates (NEIA) from May 28 through May 31, 2019, in Miami Beach, Florida. All registrants are welcome to attend all meetings, sessions, and events sponsored by PERF, MCCA, and NEIA during the Annual Meeting. The U.S. Department of Justice recently announced the public release of a new white paper on the Clarifying Lawful Overseas Use of Data Act, known as the CLOUD Act. The CLOUD Act was enacted in March 2018 and updates the legal framework for how law enforcement authorities may request electronic evidence needed to protect public safety from service providers while respecting privacy interests and foreign sovereignty. 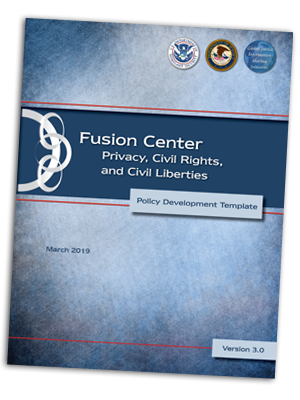 The white paper describes the interests and concerns that prompted the enactment of the CLOUD Act and provides a concise, point-by-point distillation of the effect, scope, and implications of the Act, as well as answers to frequently asked questions. 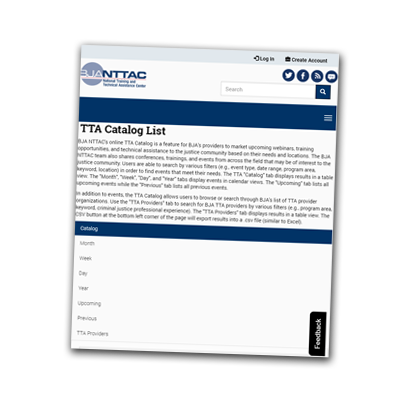 The Office for Victims of Crime (OVC) Training and Technical Assistance (TTA) Center online TTA Network Resource Directory provides information on current OVC-funded TTA projects and resources for those providing victim-oriented services. The directory features projects on a wide range of topics, such as human trafficking, law enforcement, mental health and well-being, tribal, and more. In addition, the directory provides easy access to OVC’s instructional design standards, training aids, and a national calendar of crime victim assistance-related events. ...find free training on the Global Reference Architecture (GRA)? ...find information on BJA Crime Analysis Consortium Resources? ...find information on fusion centers? ...find information on Privacy and Civil Liberties Protection? ...find information on the Global Standards Package? ...find information on the National Information Exchange Model?